Bollywood CineTalk: Krrish 3; Weekend Business Hit By Pre-Diwali But Monday Looks Too Strong! Krrish 3; Weekend Business Hit By Pre-Diwali But Monday Looks Too Strong! 3. 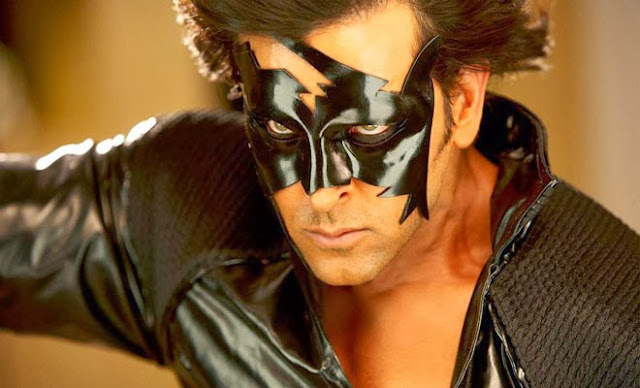 Krrish 3 - 49,25,00,000 approx. Note - All the figures above are for the first three full days and Hindi language only. After dull Pre-Diwali period, Monday was the first holiday when people came out to watch Krrish 3 and early reports are suggesting that Highest single day record, currently held Ek Tha Tiger, can be rewritten. Till date only two films, Ek Tha Tiger and Chennai Express have collected over 30 crore nett in a single day but no film has gone over 31 crore nett and Krrish 3 can now achieve this and may possibly go a bit higher. Actual figures will be known in some hours from now. Ek Tha Tiger had collected 1.80 crore nett on day one and Chennai Express 1.75 crore nett on day one and these two were the highest collections in Rajasthan in a single day until this Krrish 3 number which has gone a huge 20% above the previous record.